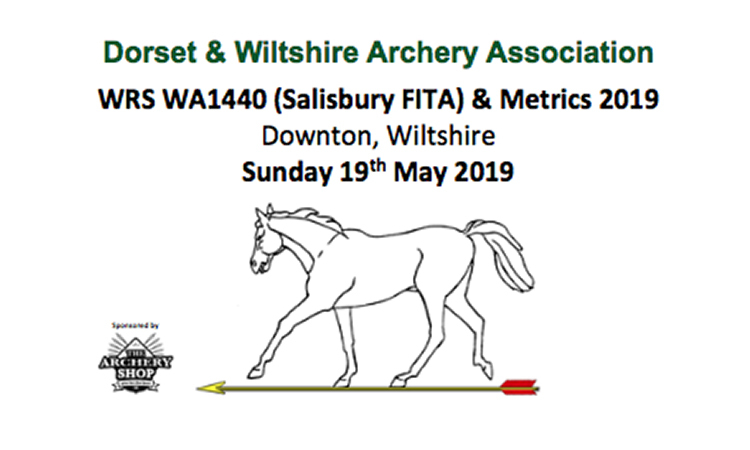 The Dorset & Wiltshire Archery Association, with sponsorship by The Archery Shop, have great pleasure in presenting our 2019 World Record Status Salisbury WA1440 (FITA) including Metrics 1-5 on Sunday 19th May at Trafalgar School Playing Fields at Downton in Wiltshire hosted by South Wilts Archery Club. Entries are open until and including Friday 10th May 2019. If you think your posted entry may miss the deadline please contact sailswa1440t@dwaa.org.uk to let us know. Don’t delay enter today!